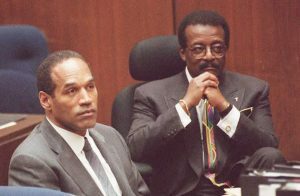 A double-homicide that occurred on June 12, 1994, became one of the biggest trials of the century after former football player O.J. Simpson was charged with the killings of his ex-wife Nicole Simpson and her friend Ron Goldman. The outcome of that eleven months, heavily publicized trial would send shockwaves throughout the country, and unfortunately, the drama is about to get amplified once again as Simpson is scheduled for parole on a completely different set of charges that eventually led him behind bars. Although the case against Simpson for the double-homicide was strong, his defense team convinced a jury of his peers that DNA evidence was far from conclusive, and certainly not a reliable way of proving guilt. Simpson was eventually found innocent, probably in part because using DNA as the foundation of a criminal homicide case was a new wrinkle in court back in 1994. People were not familiar with the science behind DNA, and so they found that there was reasonable doubt that Simpson had committed the murders. On top of that, Simpson’s defense attorneys also implicated the LAPD in a brand of misconduct that persists even today–racism. Many of us are already aware of the disparity between the way African Americans and Caucasians are treated by law enforcement (in some circumstances, but not all of course), and the defense team was able to capitalize on race as a source of confusion during the trial. It worked. The lawyers also suggested that evidence had been handled improperly. If true, any evidence could have been tainted before it was provided as part of a court exhibit. Although Simpson was eventually acquitted of the murders and released from custody, Nicole Simpson’s family levied a successful civil lawsuit against O.J., after which they were supposed to be given $33.5 million. To date, they have not received the full amount. The trial itself unleashed a crazy amount of tension between African Americans, those of Hispanic descent, and Caucasians. Although a high number of African Americans thought that O.J. was the victim of unfair bias towards a man of color, Caucasians were much more certain that he had committed the double murder. Back in 2007, O.J. was caught and convicted of felony armed robbery and kidnapping in Las Vegas. He was slammed with 33 years behind bars, although he would be given the opportunity for parole after only nine. And that leads us to the newest tidbit of news regarding the case. In a more recent development to the O.J. Simpson drama extravaganza, the prosecutor that put him behind bars now says that Simpson will likely be released after his next parole hearing. Because previous allegations (should) have nothing to do with the robbery charges that landed him in prison this time around, he is more likely to get out. After all, he has been jailed for nine years already. If he is to be released, it could happen by the first of October (2017). The prosecutor also said that he gave Simpson the chance to make a plea bargain to reduce the amount of time spent behind bars to only two years, but that Simpson did not accept. The man is just about to turn seventy years old, and we’ll know soon enough if this is his last birthday behind bars. Previous Previous post: How Much Do You Remember About The Manson Family Murders? Next Next post: Why Is The Mystery Of The Somerton Man So Appealing? This Dead Pope Faced Trial in The Year 897: Medieval Madness!